There are around 2.6 million women domestic workers in Indonesia, but they are not protected by current legislation safeguarding workers’ rights. 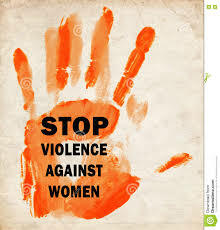 As a result they are subjected to physical, psychological and sexual violence in the workplace. Many domestic workers are denied sexual and reproductive rights, such as access to information and services on family planning, contraceptives and the prevention of HIV/AIDS and other sexually transmitted diseases. Civil society groups have been campaigning for a specific law on domestic workers that will provide legal recognition and safeguard their rights. The Indonesian parliament has included a domestic workers’ bill in its legislative agenda for 2010. However, the parliamentary commission overseeing the drafting of this bill has displayed a lack of commitment in ensuring the bill is drafted and passed in parliament. Join us now and sign your name to the petition on the right of this page, urging Indonesia’s Parliamentary Commission IX to ensure the speedy drafting and passing of the Domestic Workers Protection bill. This will legally recognise domestic workers in Indonesia and ensure they enjoy all the rights that are provided for in international law and standards. Signatures will be delivered to the Parliamentary Commission when they return from recess in mid-August. Please circulate this page to your friends, families and networks.